Turkey has broken its silence on China’s continued mass detention of its Uyghur ethnic minority, telling Beijing their continued subjugation is a “a great cause of shame for humanity”. 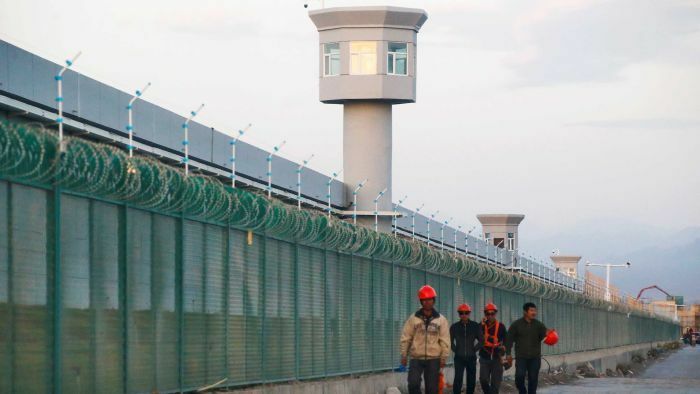 In a statement released on Saturday, Foreign Ministry spokesperson Hami Aksoy said it’s “no longer a secret” that China has arbitrarily detained more than a million Uyghurs in “concentration camps”. Mr Aksoy was referring to China’s mass incarceration of the Muslim Uyghur minority situated in the north–western province of Xinjiang — a region incorporated into modern China after leaders of the East Turkestan Republic surrendered to the Chinese Communist Party in 1949. Compared to China’s ethnically homogenous Han majority, Uyghurs are an ethnic group of Turkic origins who have been slowly outnumbered since widescale Han migration to Xinjiang began after 1949. Turkey said the Uyghurs faced pressure and “systematic assimilation” in western China. “This tragedy has further reinforced the reaction of the Turkish public opinion toward serious human rights violations committed in the Xinjiang region,” Mr Aksoy said. “We expect this legitimate response to be taken into account by the Chinese authorities. We respectfully commemorate Abdurehim Heyit and all our kinsmen who lost their lives defending their Turkish and Muslim identity,” he said. His detention was considered indicative of China’s determination to crack down on Uyghur intellectuals and cultural figures, which some say are attempts at cultural cleansing. Mr Heyit’s death could not be independently confirmed. China’s Embassy in Ankara called Mr Aksoy’s comments “completely unacceptable” in a lengthy response posted on its website. “Both China and Turkey face the arduous task of fighting terrorism. We are opposed to maintaining double standards on the question of fighting terrorism,” said the statement, attributed to an embassy spokesperson.